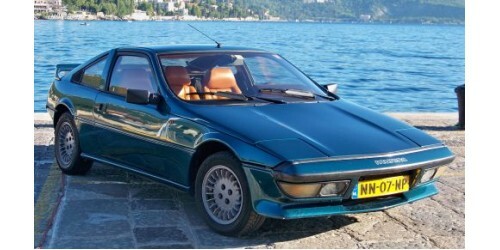 The Murena replaced the Matra Bagheera, a very similar vehicle resulting from previous Matra-Simca cooperation, and was largely based on its predecessor. The car still had a steel spaceframe with body panels made of fibreglass-polyester, but to counter the rust issues plaguing the Bagheeras, the spaceframe was galvanized. The Murena was actually the first production car to use galvanized steel for all chassis parts. The engine selection was different, however. The more powerful version employed the 2.2 (Chrysler France engine), which also served as the base engine for the top of the range Talbot Tagora saloon This engine was also available with the so-called "S-kit" that upgraded its output to 142 bhp - at first, it was a dealer-fitted option, but later it could be ordered straight from the factory. Production of the Matra Murena was discontinued in 1983, when the Matra factory in Romorantin switched to production of the Renault Espace multi-people carrier. Original Matra parts namber : 0032913400 .. 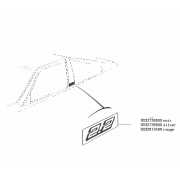 Original Matra Murena parts number : 0032736800 .. Original Matra parts namber : 0032736900 ..